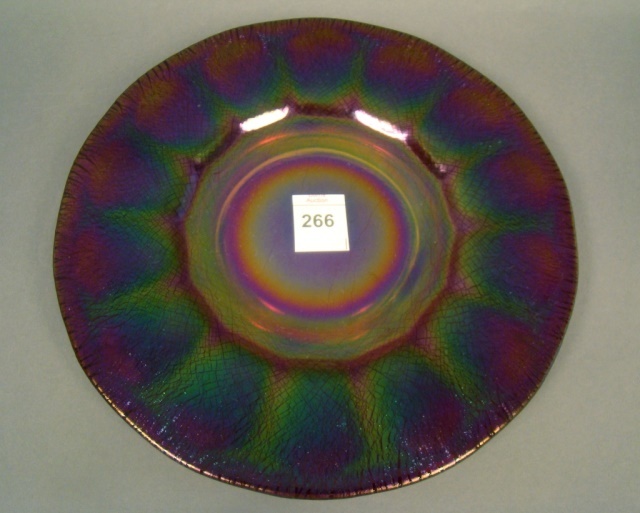 Imperial's Wide Panel is limited to bowls and plates which were originally sold as sets. 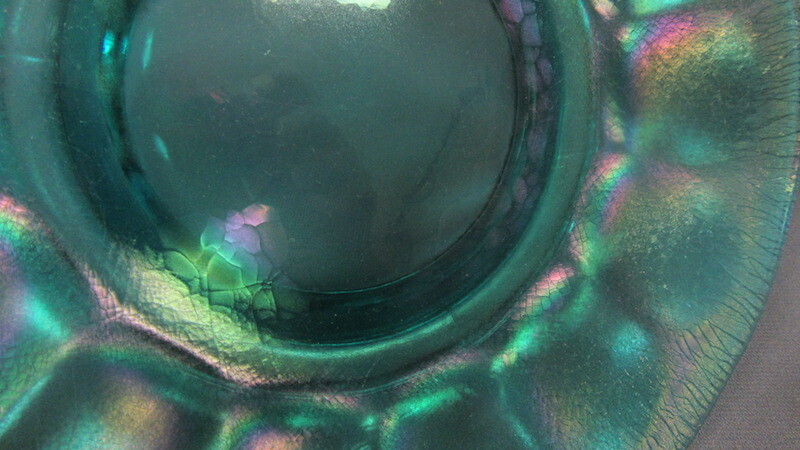 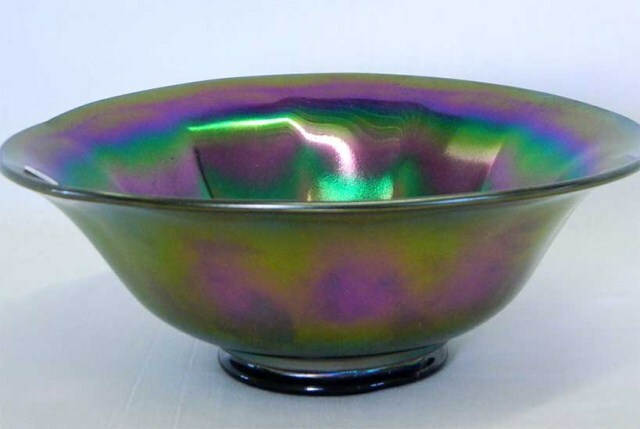 They're usually considered to be Stretch glass. 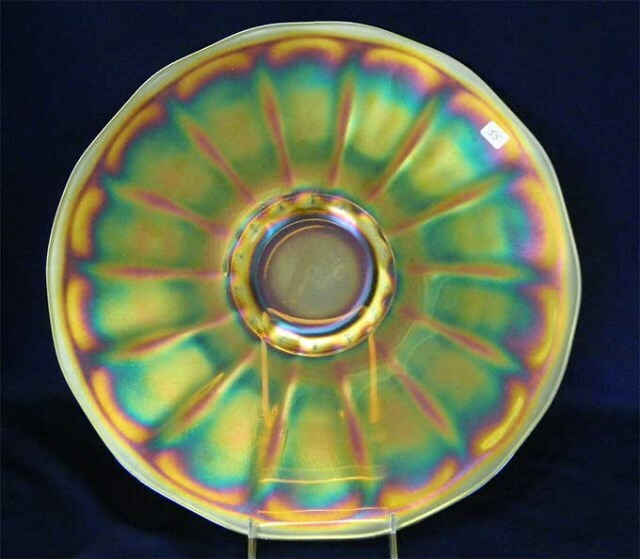 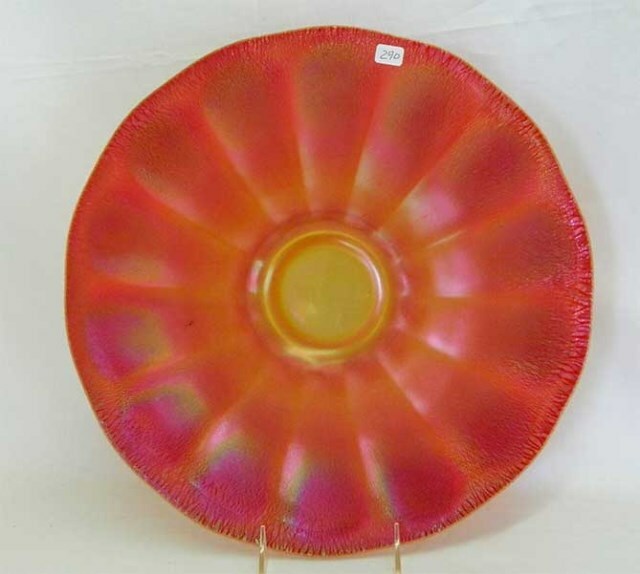 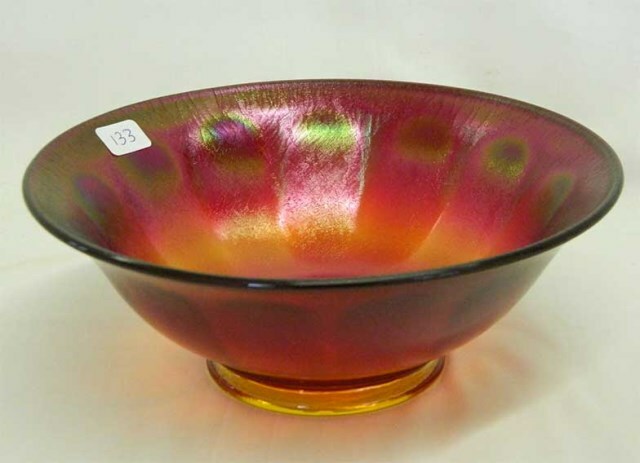 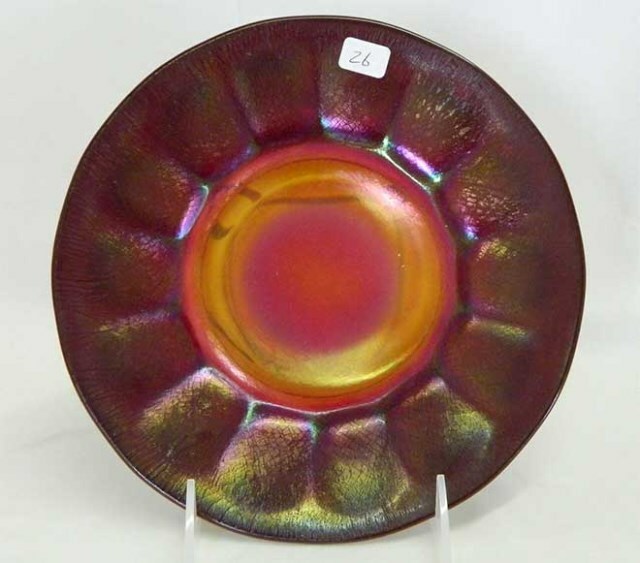 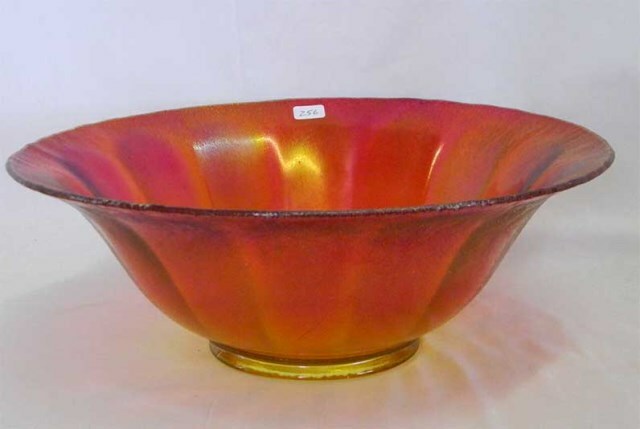 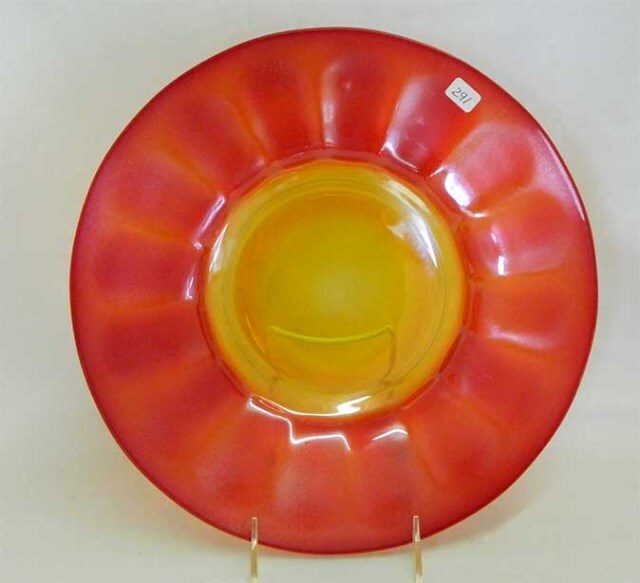 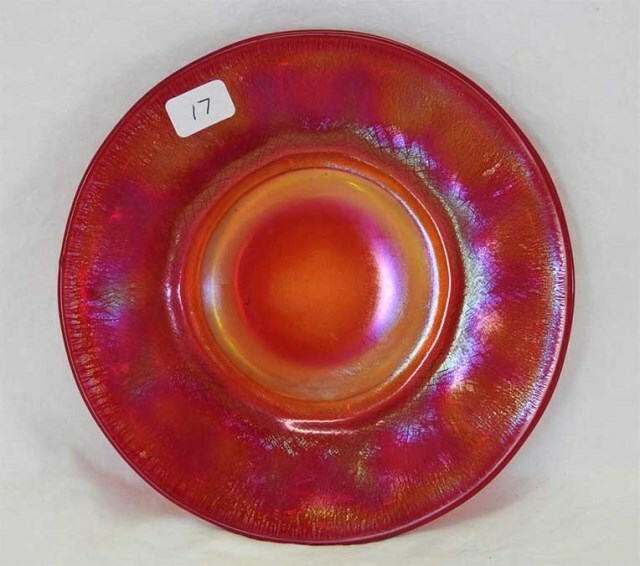 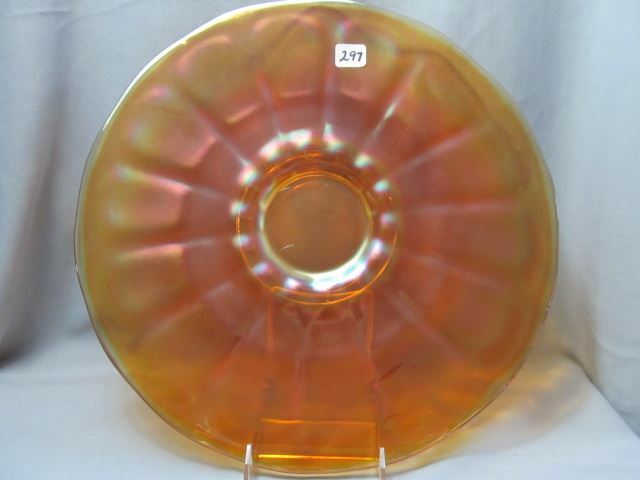 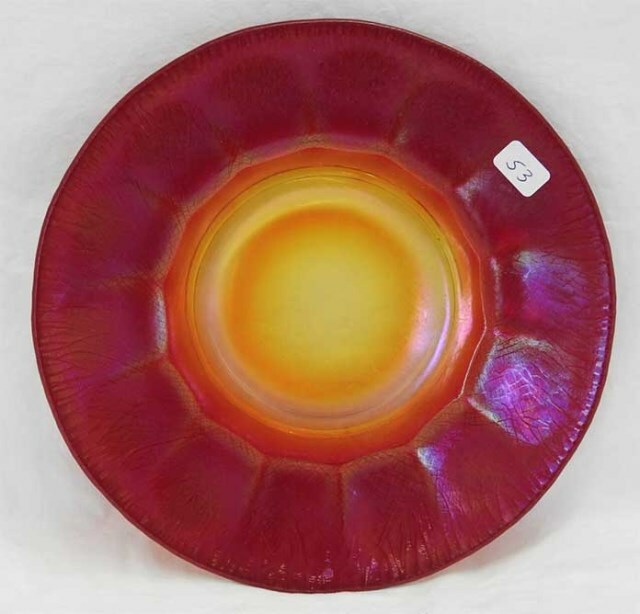 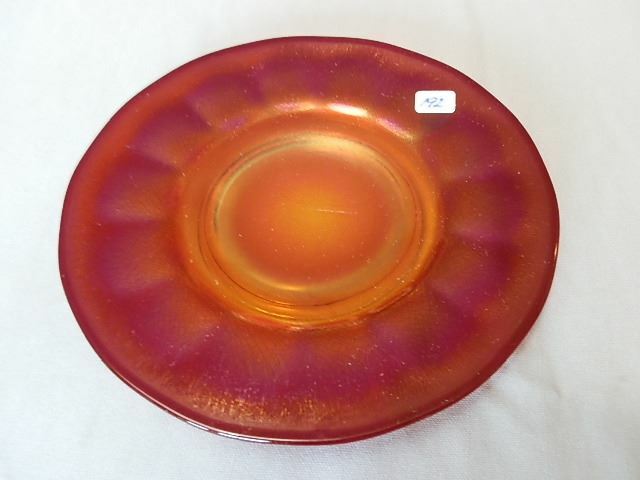 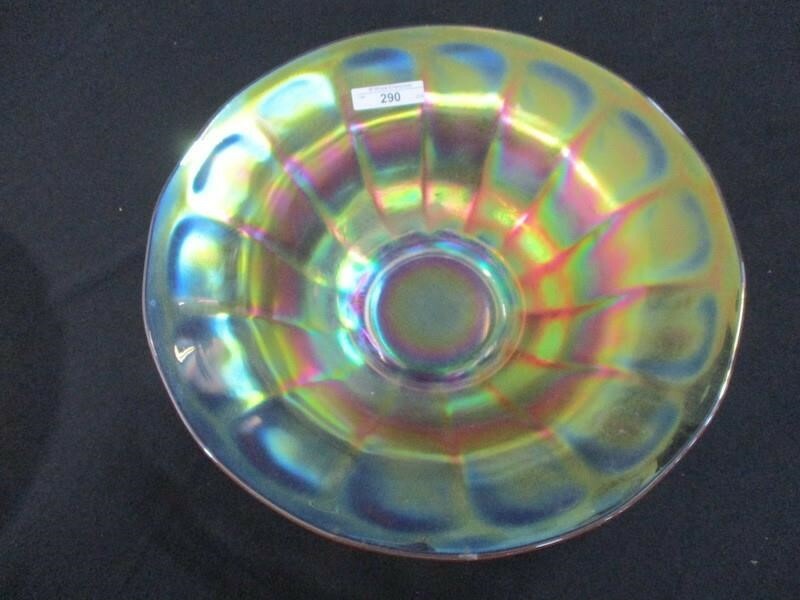 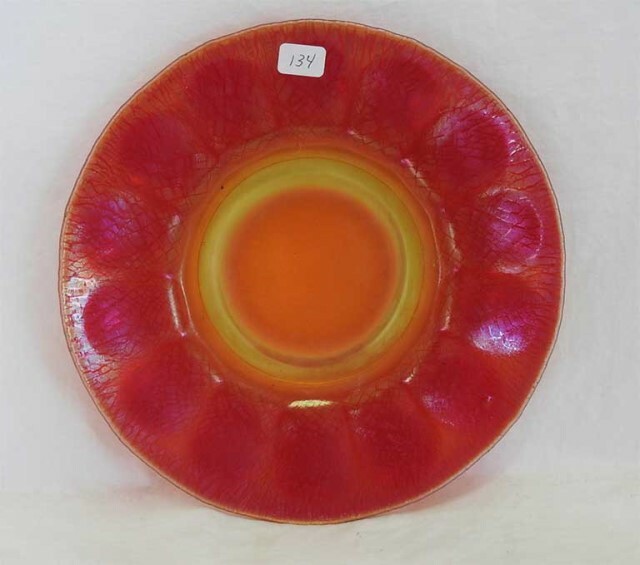 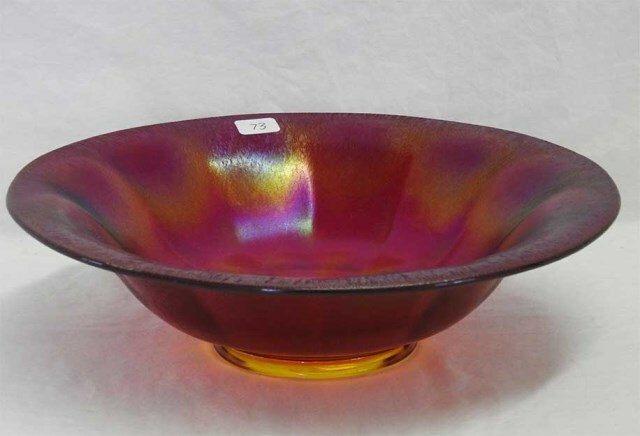 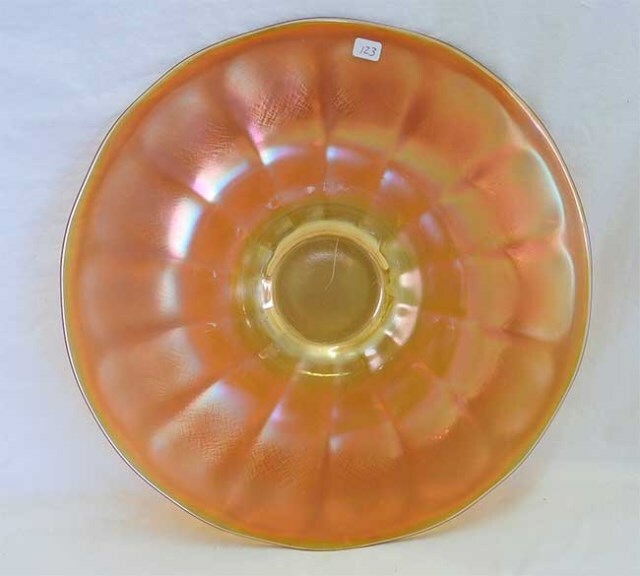 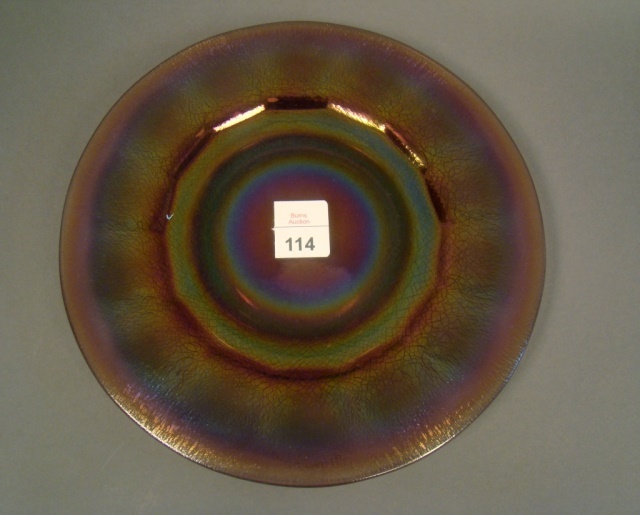 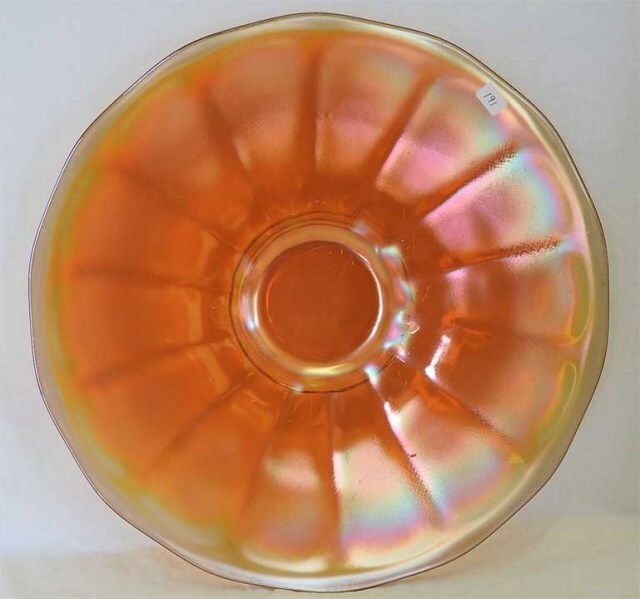 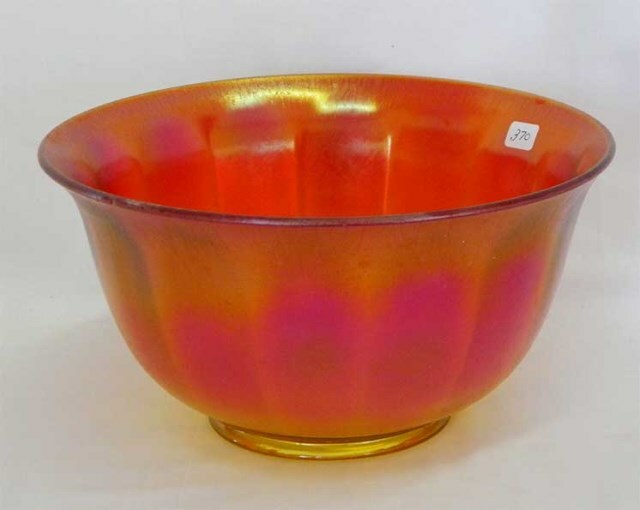 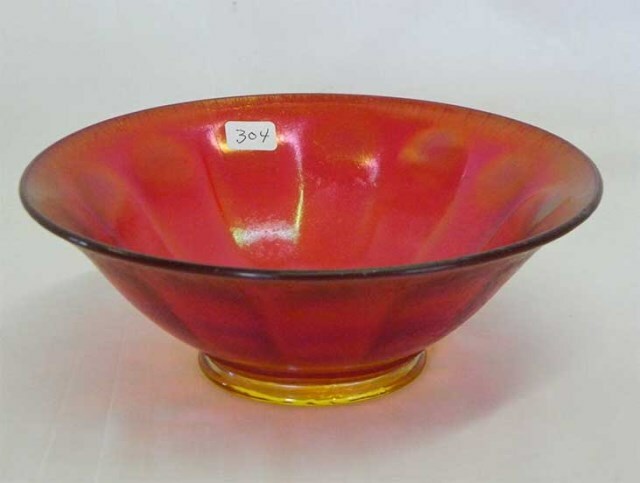 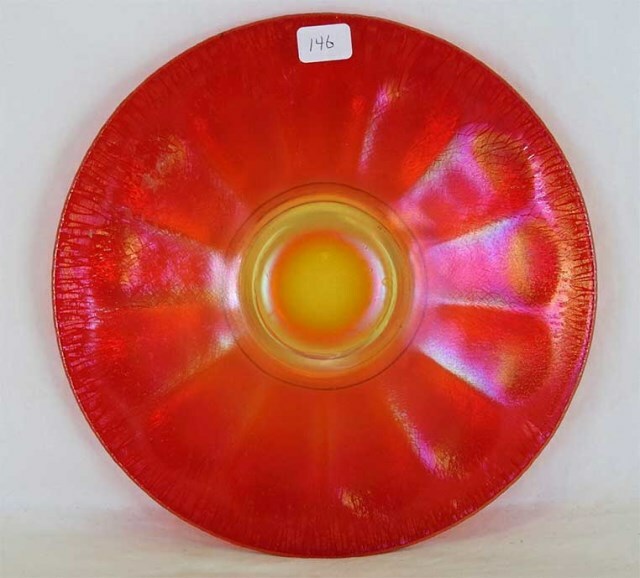 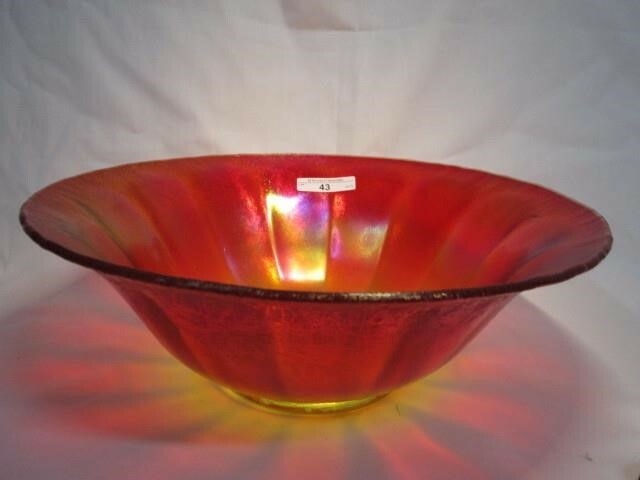 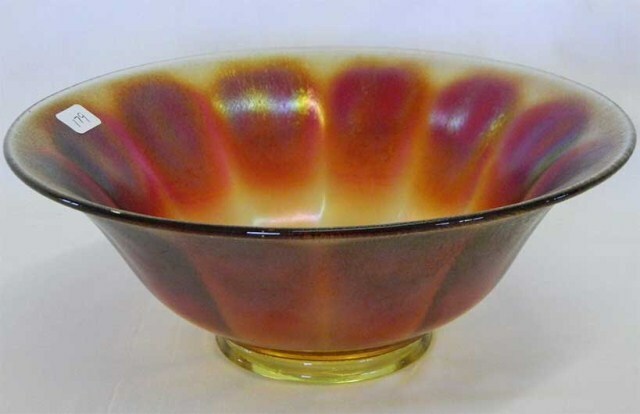 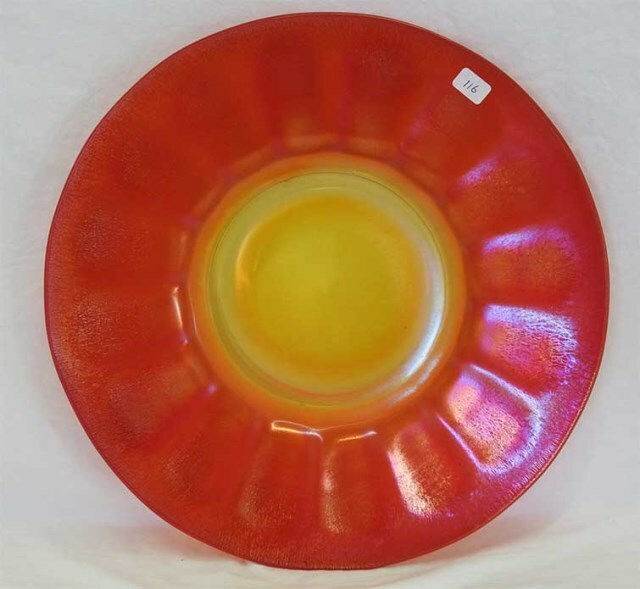 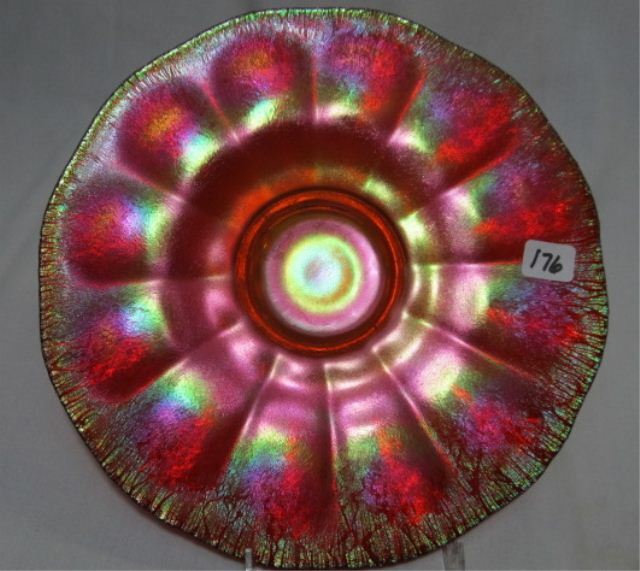 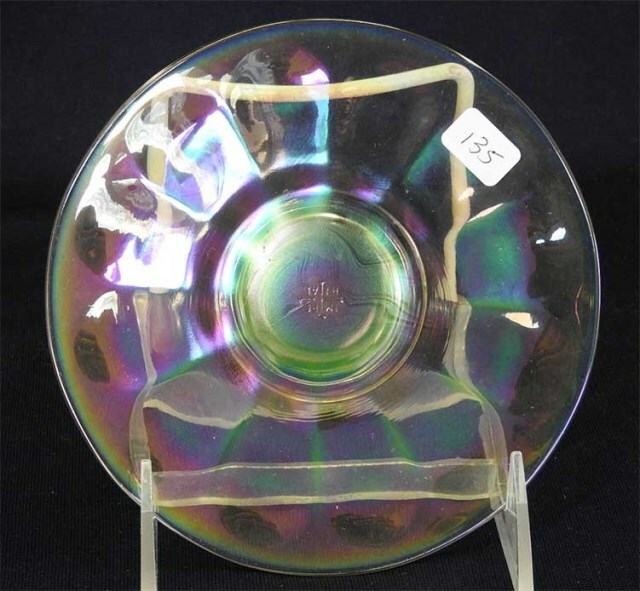 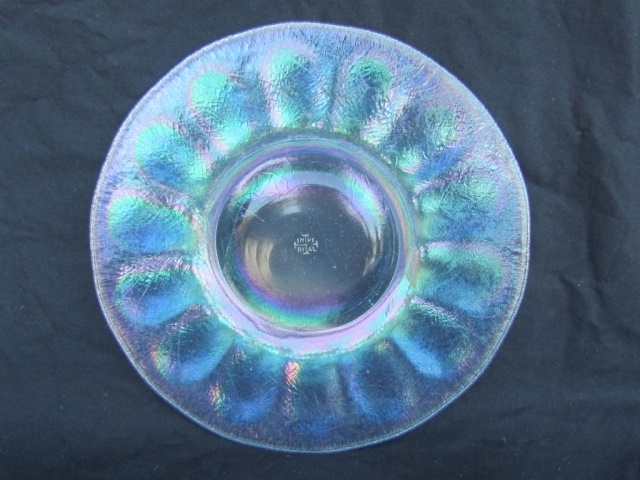 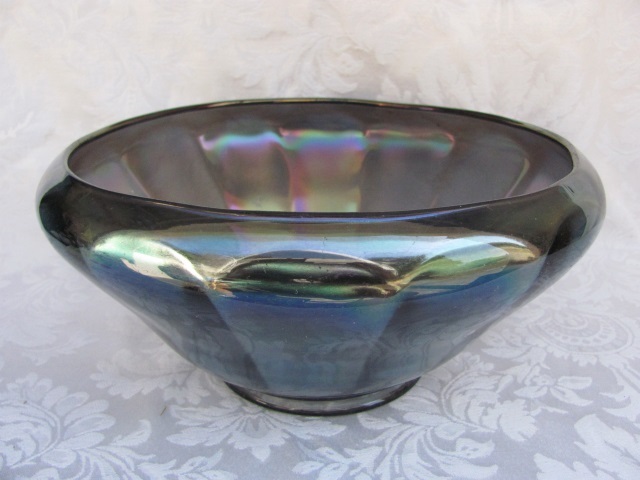 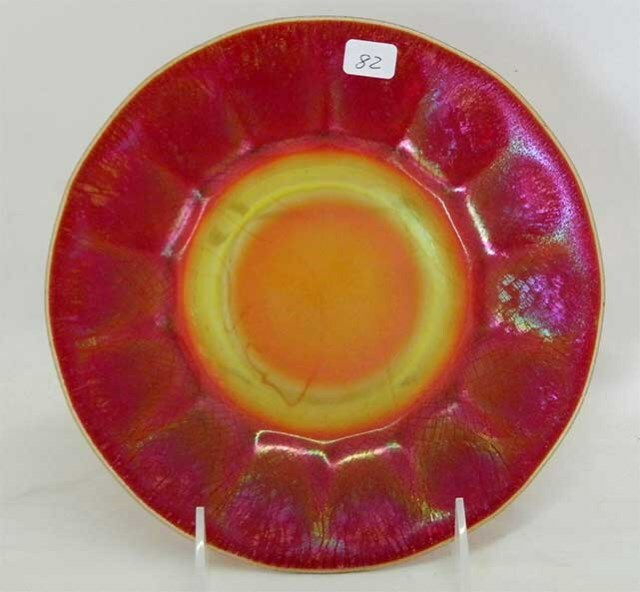 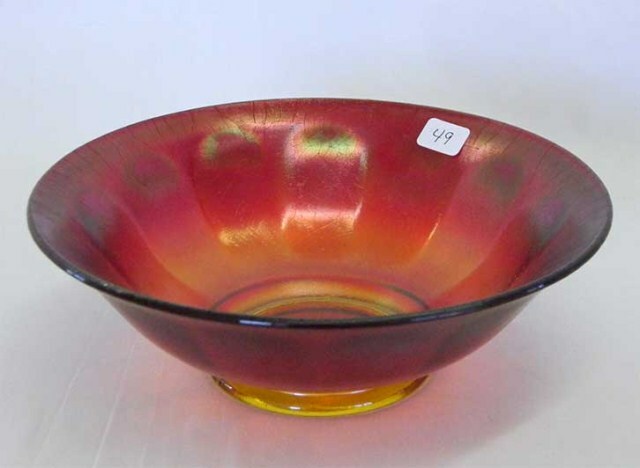 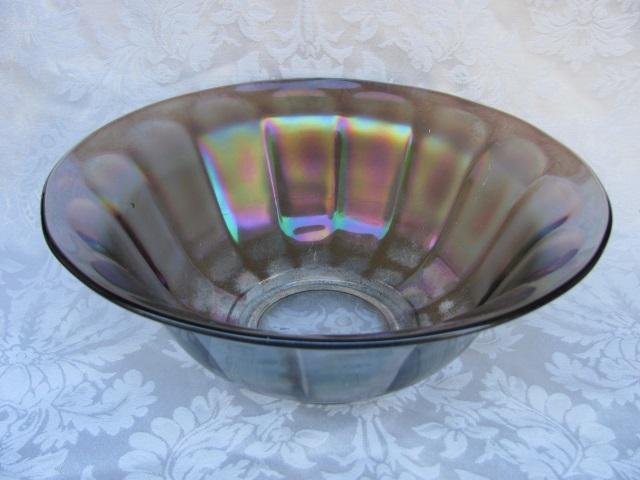 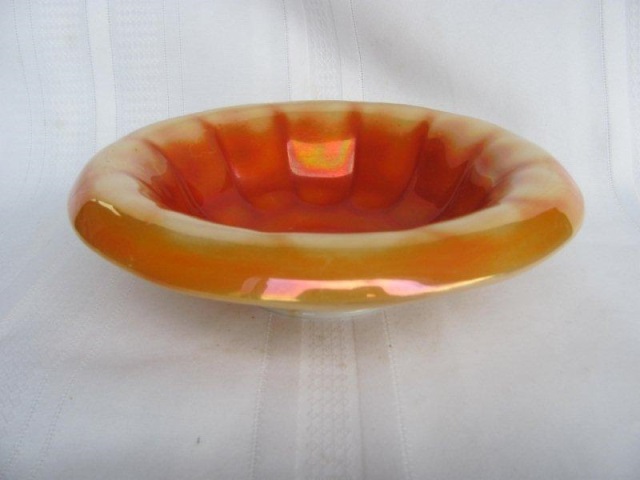 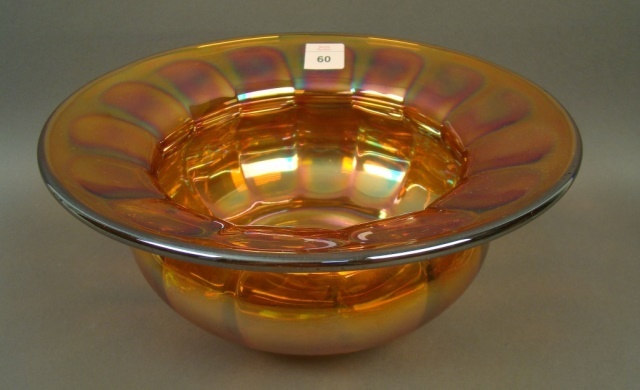 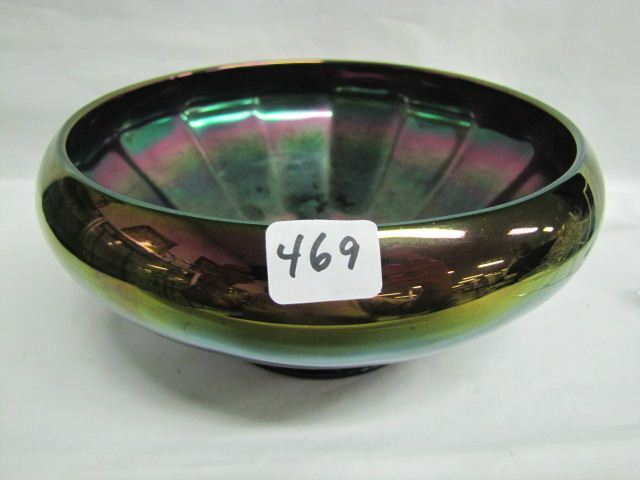 According to Carl O. Burns in his 1996 book on Imperial Glass, they were made in Salad sets consisting of a 9-inch bowl, an 11-inch plate, and six 8-inch plates. 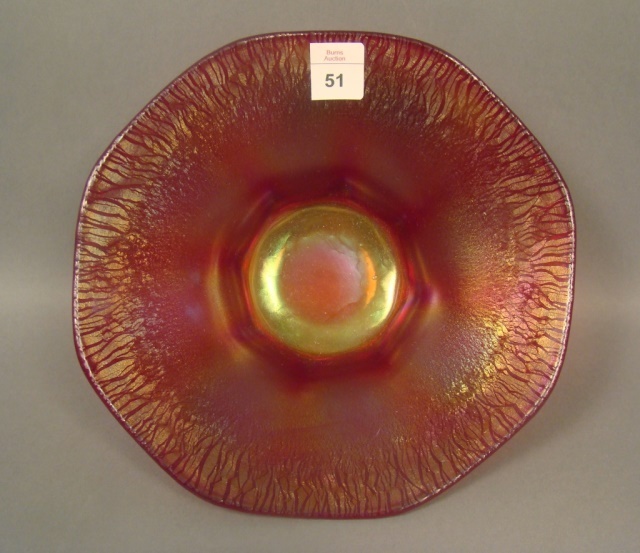 A Centerpiece set consisted of a 12-inch bowl and a 14-inch plate. 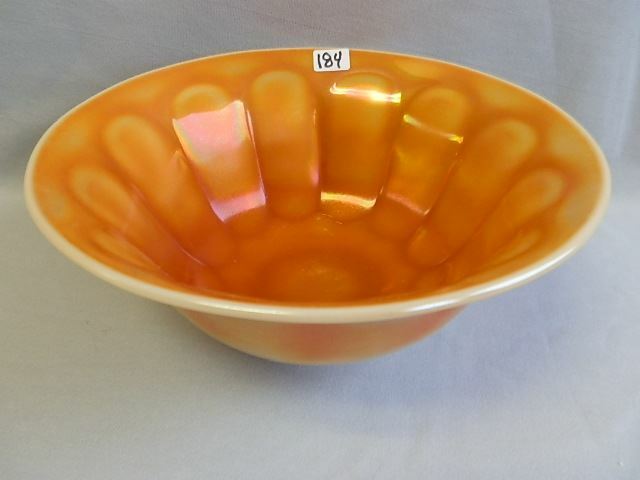 There are many similar patterns with wide panels, but this is the only one that can be properly be called Wide Panel. 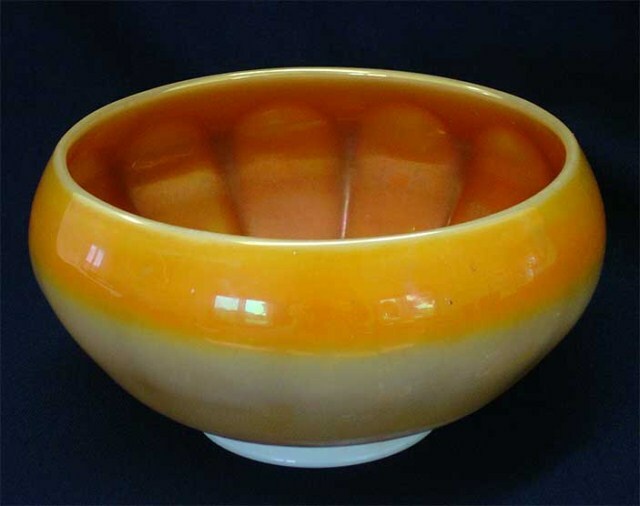 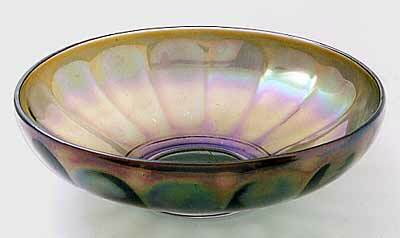 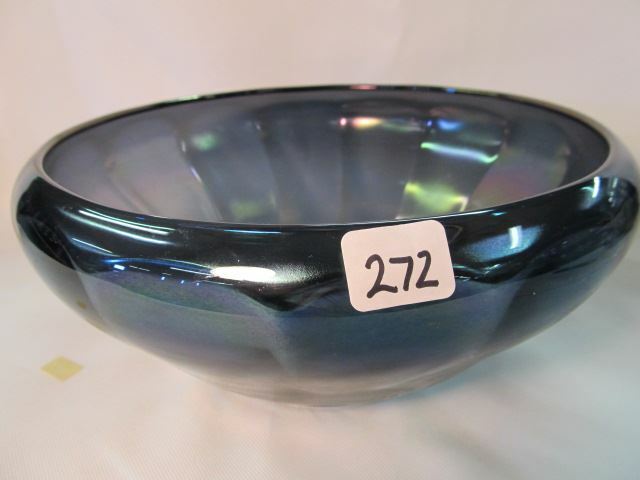 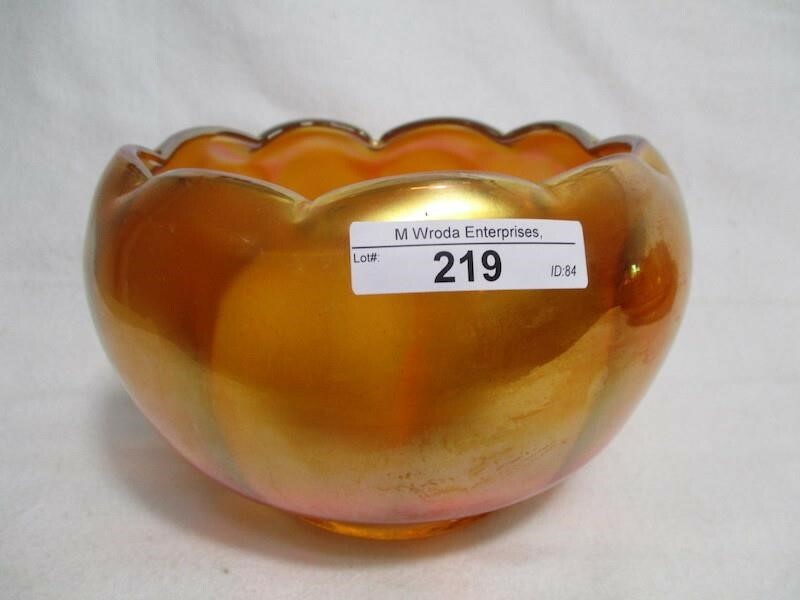 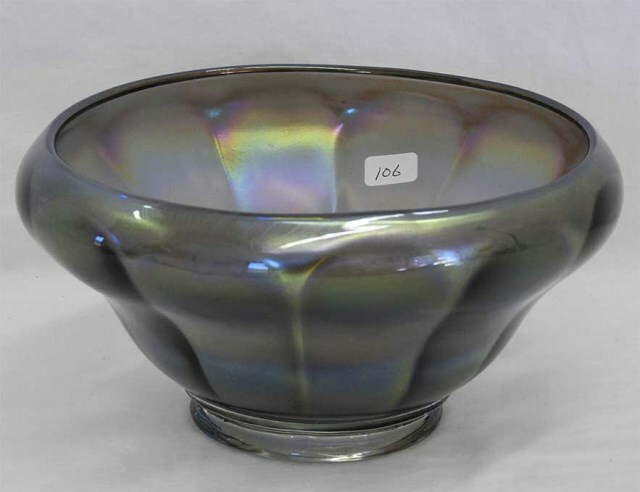 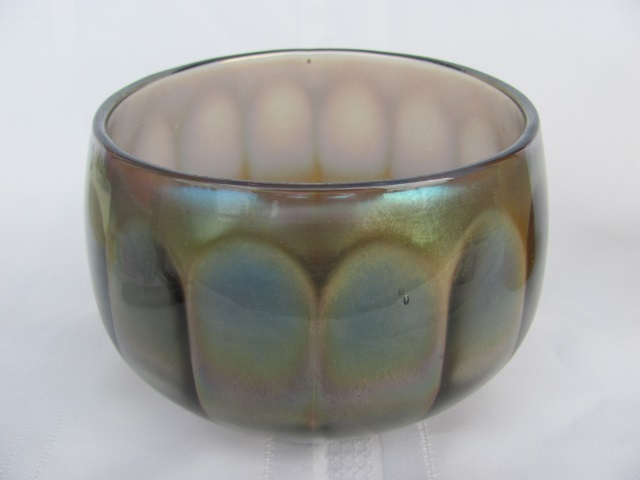 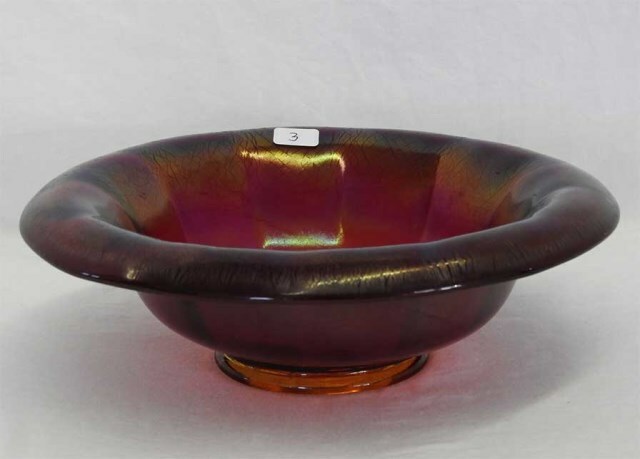 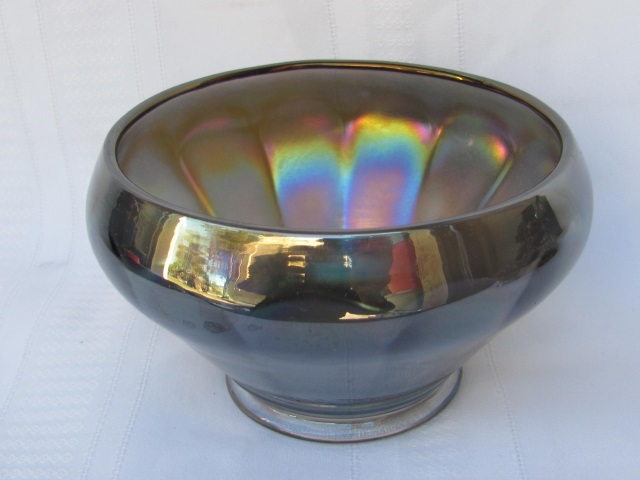 This bowl in smoke sold for $15 in 1999. 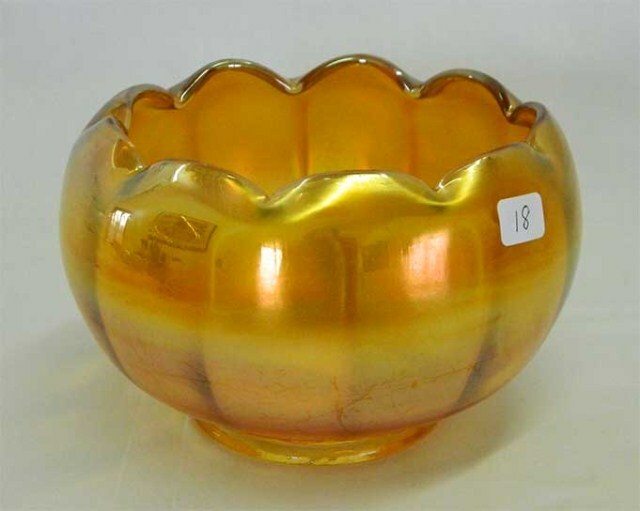 That's about the price for most pieces of clambroth, marigold and smoke. 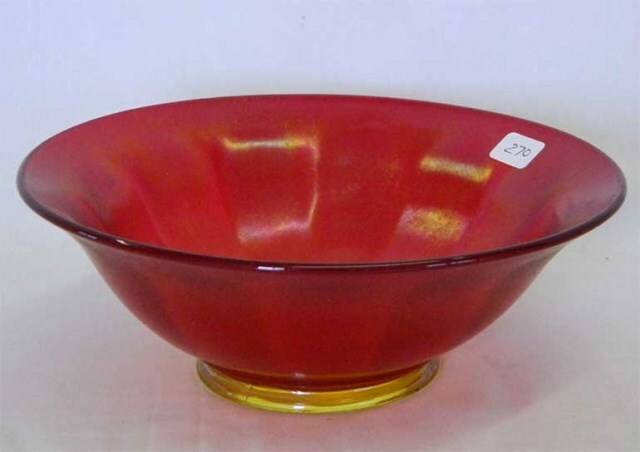 Red items often bring from $60 to $90.